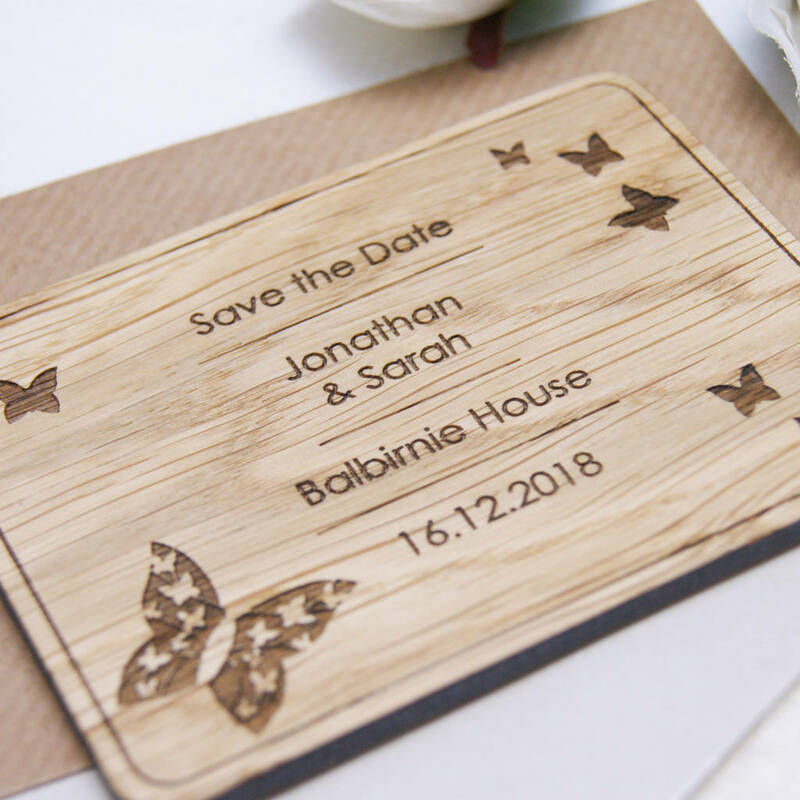 Announce your special day in style with this save the date magnet, delicately engraved with butterflies. Each design can be personalised with the names of the bride and groom, as well as the date and location of your wedding. Please note that the phrase 'Save the Date' will appear at the top of each magnet. Crafted from high quality sustainably sourced solid oak and finished with a teak oil that nourishes and seals while enhancing the wood grain. Every piece comes in a small envelope which is available in your choice of either pearlescent or brown kraft style. 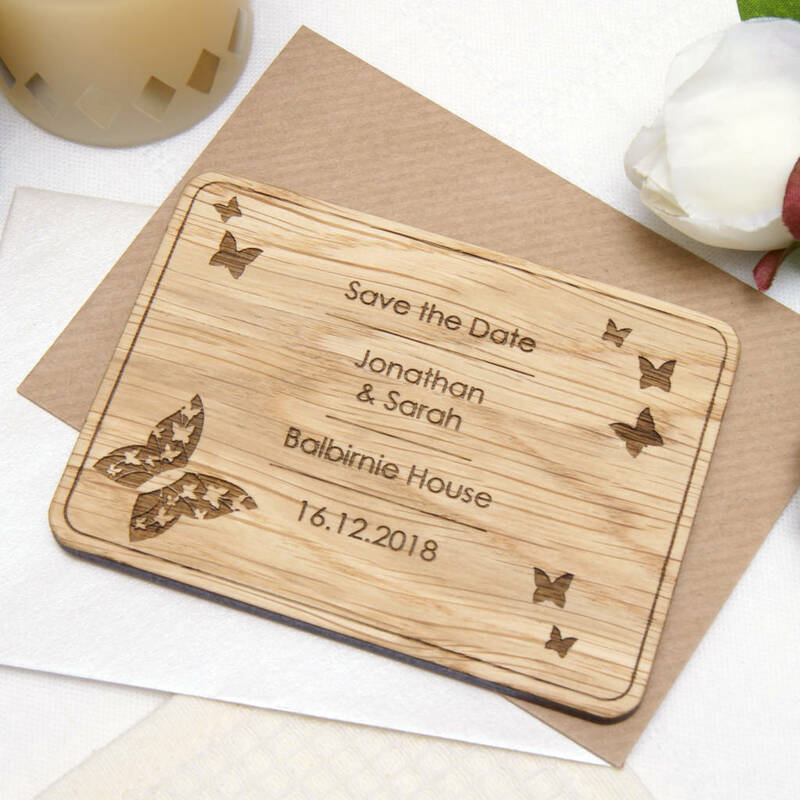 Urban Twist has a wide range of Save the Date designs available, all of which are made to order. Please see our related products.